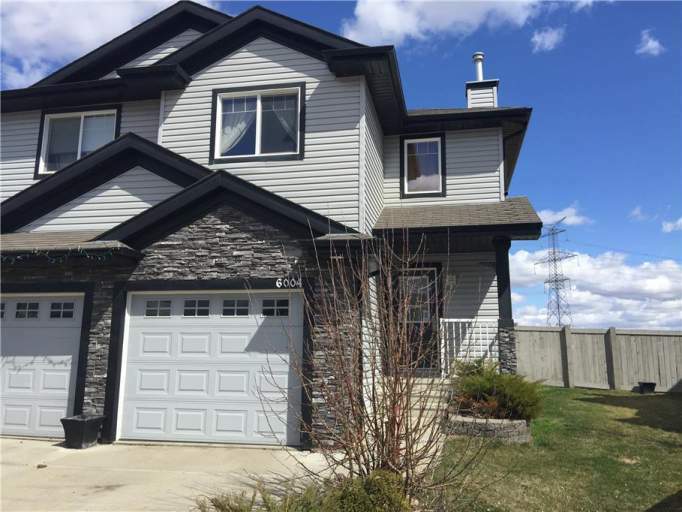 This bright and spacious duplex is located in the SE community of Charlesworth, meaning South Edmonton Common and the amenities that line Ellerslie Road are easy accessible. Not to mention the commuting convenience with such close proximity to the Anthony Henday Ring Road and Gateway Boulevard. The duplex itself features a bright kitchen complete with beautiful black appliances including fridge, stove and even a dishwasher. You'll have plenty of counter space with the large island that also features a breakfast bar. The kitchen and front entry feature gorgeous laminate flooring while the living room offers comfortable carpet and a gorgeous view of the massive fenced backyard! Featuring 3 Bedrooms and 2.5 Baths with an unfinished basement this unit is the ideal family home! There is also a single car garage and upgraded front loading laundry machines! Call today to view!